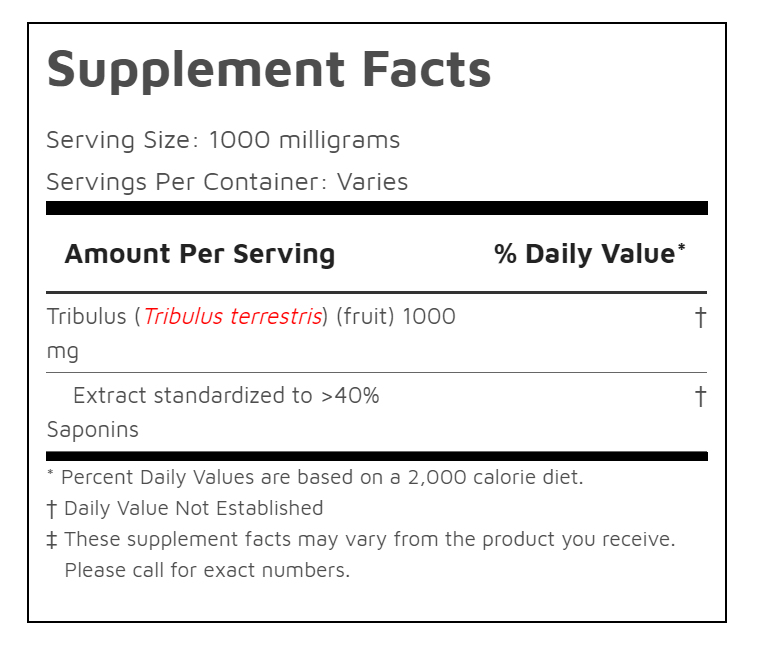 This tribulus is standardized for a minimum of 40% saponins. Saponins are compounds in tribulus responsible for its benefits. The primary benefit of tribulus is its libido support. 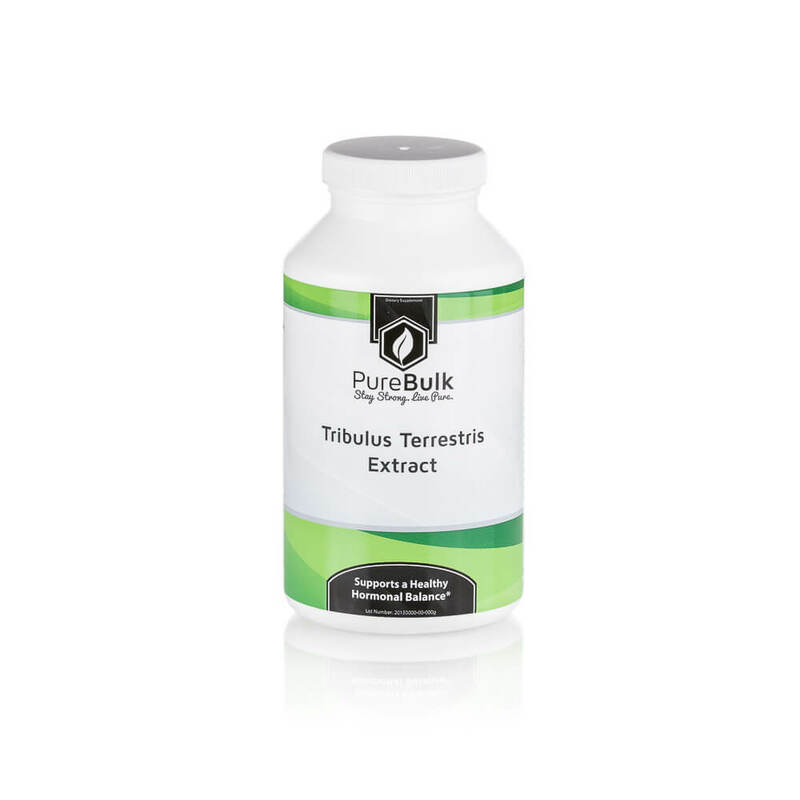 Although there are claims of tribulus affecting testosterone, studies have failed to reproduce this claim. 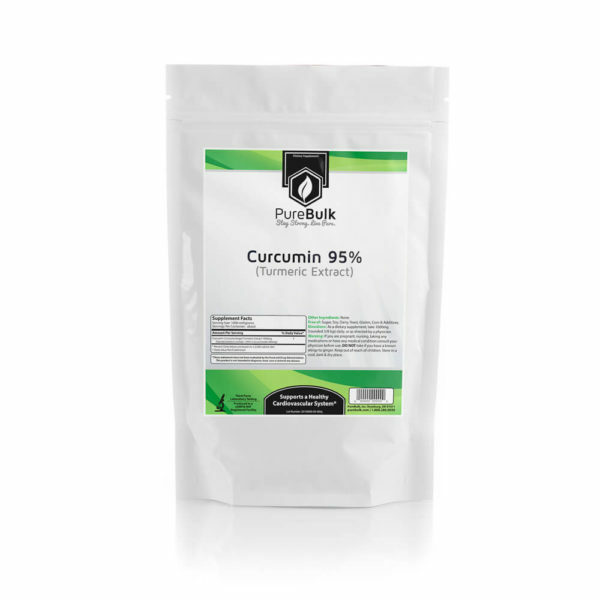 Take 2 capsules for a total of 1200mg (1.2 grams) once daily as needed.